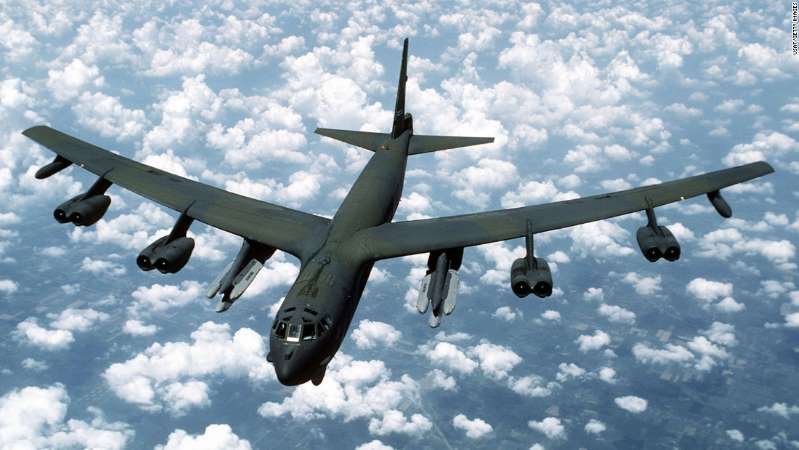 The US Air Force needs to add more bombers, fighters, tankers and other front-line units by 2030 to confront rising threats from China and Russia, senior officials said Monday, outlining a proposal for what the service will need to fight and win future conflicts. Specifically, officials called for a nearly 25% increase in operational squadrons over the next 12 years, which would bring the Air Force to a size not seen since the Cold War, when there were 401 squadrons. "The Air Force is too small for what the nation is asking us to do. We have 312 operational squadrons today. The Air Force we need has 386 operational squadrons by 2030," Air Force Secretary Heather Wilson said during a speech at the Air Force Association's annual Air, Space & Cyber Conference in Maryland. The call for more than 70 additional squadrons is based on estimates of the expected threat facing the US between 2025 and 2030 and represents an honest assessment of what the Air Force needs to fight and win a potential conflict with China or Russia in the future, according to Wilson. "It's not just larger; the way we fight will be different," she said, noting that this assessment is in line with priorities outlined in Defense Secretary James Mattis' National Defense Strategy, which calls China and Russia "the central challenge" facing the US military. "Inter-state strategic competition, not terrorism, is now the primary concern in US national security," according to the document, released earlier this year, which added that "long-term strategic competitions with China and Russia are the principal priorities for the Department." "Today, we are the best Air Force in the world," Air Force Chief of Staff Gen. David L. Goldfein said. "Our adversaries know it. They have been studying our way of war and investing in ways to take away those advantages. This is about how we stay in front." While the proposed increases have not yet been worked into the Pentagon's budget plans, Goldfein stressed the idea that the changes are essential to ensuring the US can maintain its military dominance going forward. "We usually have the dialogue about the Air Force we can afford," he added. "This is different. This is about the Air Force we need to present credible options to compete, deter and, if deterrence fails, win." "These observations are not new or novel. Defense leaders have understood these factors for a long time. What is different about Secretary Wilson's outlined approach is her willingness to put the Air Force's challenges on the table so that Congress and others can understand the risk and prioritize necessary solutions," retired Air Force Lt. Gen. David Deptula, dean of the Mitchell Institute for Aerospace Studies, wrote in an op-ed for Defense News. The largest proposed percentage increase would be to the Air Force's bomber squadrons, which would grow from nine to 14, according to Wilson, who noted that an increased bomber presence is particularly important in the Pacific, where China's first aircraft carrier has been conducting flight operations after being declared combat ready this year. "China has militarized islands in the South China Sea, and now all of Southeast Asia is within reach of its long-rang bombers," she said. "Part of President Xi's plan is for China to be a top-ranked military by 2050, and President Xi is no longer bound by term limits on his presidency." Speaking at the Aspen Security Forum earlier this summer, Michael Collins, the deputy assistant director of the CIA's East Asia Mission Center, said Chinese President Xi Jinping and his regime are waging a "cold war" against the US. By looking at the writings of Xi, whose "thought" or worldview was recently enshrined in China's Constitution, it's clear, Collins said, that the threat China presents is the greatest global challenge the US currently faces. "It sets up a competition with us and what we stand behind far more significantly by any extreme than what the Russians could put forward," Collins said. According to Deptula, the US bomber force has been significantly under-resourced since the end of the Cold War. "The modern threat environment demands that the Air Force build a force with range, responsiveness, payload, survivability, and versatile combat power as keystone attributes. This force must be able to address concurrent large-scale conflicts and persistent steady-state demands," Deptula argues in his own analysis of the Air Force's bomber fleet, obtained by CNN prior to its expected release this week. While the plan does not include an increase in the number of missile squadrons, Wilson said the US "should modernize our nuclear deterrent." "Cyber would also not see an increase in squadrons, though we will develop new tools for the squadrons we have," she said. Wilson said she understands that it will take time to build the support and budget needed to implement the proposed changes but emphasized that there is an urgent need to address the issues at hand. "We aren't naïve," she said. "But we have an obligation to be honest with our countrymen and tell them, as those who came before us have done in their time, what should be done. ... What we must do."